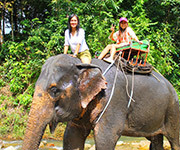 Elephant trekking into the safari, Canoeing on Sok River. The most completed nature of Asia National Park. For this 2 Days 1 Night package can make you can get more feeling of thick Safari with Overnight on the Tree top Bungalow, listening of wild life or night sound. At the day, Trek by feet into the real safari touching the safari nearer. The trek will take you through a tropical rainforest. - Enjoy a delicious lunch thai food and fruit of season. - Dinner with Thai Food. Khao Sok - The most completed thick safari and national park of Asia. One time of your life dreaming that to touch real thick safari, real wildlife, real animal, real beautiful of nature and yes real nature river passed the mountain. "No word to explain the completed nature of here"
Chiew Larn Lake: Hills of here are a part of Khao sok thick Safari and national park, But Amid the hills and high Mountain, Big lake which has been occurred because of Dam Construction. Time changes the lake to be a very natures of fishes, and variety of animals. 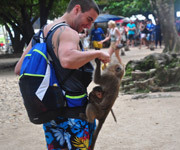 Moreover, the former hills changed to be a nice shape Island with full of safari animal. Raft House were built to service the tourist who love quiet atmosphere, safari, mountain, animals, fishes and the feeling of real forest. Jc. 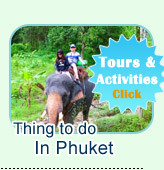 Tour (Phuket) has combined all of above interesting to make "2 Days 1 Nights" Tour Trip, make the forest lovers can touch the thing they had dreamed for all life come true. 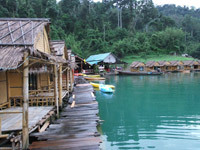 Go to the large lake, Chiew Larn Lake, by long tail boat, funny to swim on the fresh water stop for overnight on raft house. And watching Animal at night or Fire Camping. 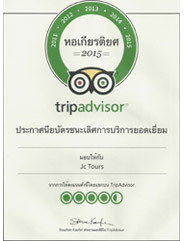 "Funny on the real quiet atmosphere"
- Enjoy a delicious lunch thai food and fruit of the season. - Depart form long-tail boat pier sightseeing. - Dinner with thai food. at raft house restaurant. 07.30 AM: Morning Safari & Safari breakfast. - Swimming Suit What to Bring. 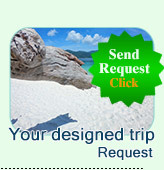 "Special for booking now you get FREE of Charge Transfer in by Private Minibus (Airport - Hotel)"